BMW 4 Series Coupes and Convertibles on Sale at South Motors in Miami. BMW M Performance models available for purchase or lease in Miami. Buy new BMW X1 SAV models on sale at South Motors in Miami. Buy New BMW X4 SAV Models On Sale At South Motors In Miami. Miami car buyers save thousands off new BMW 3 Series MSRP. Miami, the all-new BMW X3 has arrived – New BMW X3 lease programs available. 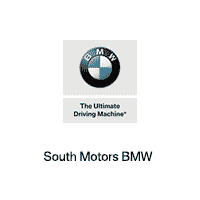 Shop new BMW 5 Series lease programs from South Motors in Miami. Shop new BMW i8 Plug-in hybrid models in Miami. Shop New X5 Lease Specials From South Motors BMW In Miami.